Jagadish received the B.Sc. degree from Nagarjuna University, Guntur, India in 1977, the M.Sc(Tech) degree from Andhra University, Waltair, India in 1980 and the M.Phil. and Ph.D. degrees from the University of Delhi, India in 1982 and 1986, respectively. He was a Lecturer in Physics and Electronics at S.V. College, University of Delhi, during 1985-88 and worked at Queen’s University, Kingston, Canada, during 1988-90 as a post-doctoral research fellow. He moved to Australia in 1990 and established a major research program in the field of optoelectronics and nanotechnology. He is currently a Distinguished Professor and Head of Semiconductor Optoelectronics and Nanotechnology Group in the Department of Electronic Materials Engineering, Research School of Physical Sciences and Engineering, the Australian National University. He is also serving as Director of Australian National Facbrication Facility, ACT node and Convenor of the Australian Nanotechnology Network. He holds honorary positions at University of Electronic Science and Technology of China, Chengdu; University of Tokyo, Anna University, Mangalore University and Nanjing University. He has served as Vice-President and Secretary Physical Sciences of the Australian Academy Science during 2012-2016. He is curently serving as President of Australian Materials Research Society and President of IEEE Photonics Society. He is serving as Editor-in-Chief of Progress in Quantum Electronics. His research interests include compound semiconductor optoelectronics, nanotechnology, photovoltaics and neuroscience and neurotechnology. Jagadish is a winner of 2000 Institute of Electrical and Electronics Engineers, Inc (USA) (IEEE) Third Millennium Medal and a Distinguished Lecturer of IEEE Nanotechnology Council (NTC), IEEE Lasers and Electro-Optics Society (LEOS) and IEEE Electron Devices Society (EDS). He has published more than 880 research papers (600 journal papers), holds 5 US patents, co-authored a book, co-edited 11 books, guest edited 15 special issues of journals and edited 12 conference proceedings. Jagadish has served as President of the IEEE Nanotechnology Council (2008 and 2009), Vice-President (Publications) of NTC (2004-2005), President-Elect of NTC (2007), Past-President (2010-2011) and Vice-President (Membership and Regional Activities- Asia-Pacific) of the IEEE Lasers and Electro-Optics Society (2006 and 2007) and Vice-President (Finance and Administration) of IEEE Photonics Society (2012-14). He served as an elected member of EDS AdCom (1999-2004), and as Chair of Optoelectronic Devices Technical Committee of EDS (1998-2003) and Vice-President (Publications) of the IEEE Nanotechnology Council (2004-2005) and served as a member of the nanotechnology technical committee of EDS (2003-2005)and Chair of the NTC Nano-Optoelectronics, Nano-Optics and nano-photonics technical committee (2003-2006) and Chair of the NTC Awards Committee (2006-2008). He is a Fellow of the Institute of Electrical and Electronics Engineers, Inc. (USA), the American Physical Society, the Materials Research Society, the Optical Society of America, the Australian Institute of Physics, the Institute of Physics (UK), the Institute of Nanotechnology (UK), SPIE-the International Society for Optical Engineering, Electrochemical Society, the Institution of Engineering and Technology, American Association for Advancement of Science, American Vacuum Society, the Australian Academy of Technological Sciences and Engineering, the Australian Academy of Science, Fellow of The World Academy of Sciences (TWAS), Academecian of the Asia Pacific Academy of Materials, Fellow of the Elecromagnetics Academy and Honorary Member of Materials Research Society of India, a Fellow of the US National Academy of Inventors, an Honorray Fellow of the Indian Academy of Sciences, Foreign Fellow of the Indian National Science Academy and Indian National Academy of Engineering. Jagadish served as an Associate Editor of the Journal of Nanoscience and Nanotechnology (2001-2005), as an Associate Editor of the IEEE/OSA Journal of Lightwave Technology(2003-2008) and Beilstein Journal of Nanotechnology (2011-2018) and an Editor of IEEE Electron Device Letters (2008-2014). He is currently serving as an Editor-in-Chief of Progress in Quantum Electronics (2016-), an Editor of the Journal Semiconductor Technology and Science (2009-) and an Associate Editor of Applied Physics Reviews and an Associate Editor of Journal of Physics D: Applied Physics (2011-17). He is a member of editorial boards of 20 journals. He chaired many conferences (Program Chair of IEEE NANO2003, San Francisco, Co-Chair ICONN 2006, Brisbane, ICONN 2016, Canberra, Co-Chair, IEEE NMDC 2006, 2008, General Chair, IEEE Photonics Society Annual Meeting, 2010, Co-Chair of Materials Research Society Fall 2012 Meeting) and served on many international professional society committees. He advises high tech industries in Australia and overseas in the field of photonics and nanotechnology and collaborated with researchers from 25 different countries. He received Peter Baume Award (ANU's prestigious and highest award) for excellence in research and research leadership. He has also been awarded Australian Federation Fellowship (2004-2009) and Australian Laureate Fellowship (2009-2014) by the Australian Research Council and Distinguished Professor position (since 2009) by the Australian National University. He received 2010 The Quantum Device Award from the International Symposium on Compound Semiconductors (ISCS). He has been awarded IEEE Photonics Society 2010 Distinguished Service Award, 2011 IEEE Nanotechnology Council Distinguished Service Award, 2010 Top Supervisor Award for excellence in research student supervision by the Australian National University, Peter Baume award from the ANU, 2012 Electronics and Photonics Division award of the Electrochemical Society, Walter Boas Medal from the Australian Institute of Physics in 2013, 2015 IEEE Pioneer in Nanotechnology Award, 2015 IEEE Photonics Society Engineering Achievement Award, 2016 Silver Jubilee International Award from Materials Research Society of India and 2016 Distinguished Fellow of the Chinese Academy of Sciences President's International Fellowship Initiative. 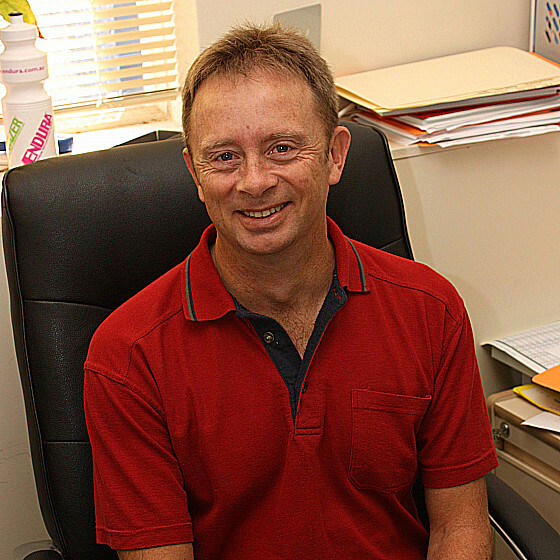 He has been appointed as Companion of the Order of Australia (AC) by the Governor General of Australia as part of 2016 Australia Day honours "For eminent service to physics and engineering, particularly in the field of nanotechnology, to education as a leading academic, researcher, author and mentor, and through executive roles with national and international scientific advisory institutions". He has received 2017 Welker Award from ISCS, 2017 IUMRS Somiya Award, 2018 AVS Nanotechnology Recognition Award, 2019 Thomas Ranken Lyle Medal from Australian Academy of Science and Golbal Leadership Award from the President of University of South Florida. Our research interests are based on neuroscience, neurotechnology, compound semiconductor optoelectronics, nanotechnology, photovoltaics and materials science. 1. H.L. Hartnagel, A.L. Dawar, A. Kumar and C. Jagadish, Semiconducting Transparent Thin Films, Institute of Physics Publishing Ltd, Bristol, UK 1995, pp.358. 1. C. Jagadish and S.J. Pearton (Eds), Zinc Oxide Bulk, Thin films, Nanostructure: Processing, Properties and Applications, Elsevier Ltd, Oxford, 2006, pp 589. 2. E.H. Lee, L. Eldada, M. Razeghi and C. Jagadish (Eds), VLSI Micro and Nanophotonics: Science, Technology, and Applications, Taylor and Francis/CRC Press, 2011, pp. 632. 3. S. D. Gunapala, D.R. Rhiger and C. Jagadish (Eds), Advances in Infrared Photodetectors, Semiconductors and Semimetals Book Series, Academic Press/Elsevier, vol. 84, 2011, pp. 341. 4. J.J. Coleman, A.C. Bryce and C. Jagadish (Eds), Advances in Semiconductor Lasers, Semiconductors and Semimetals Book Series, Academic Press/Elsevier, vol. 86, 2012, pp. 500. 5. B.G. Svensson, S.J. Pearton and C. Jagadish (Eds), Oxide Semiconductors, Semiconductors and Semimetals Book Series, Academic Press/Elsevier, vol. 88, 2013, pp 384. 6. Lucia Romano, Vittorio Privitera and C. Jagadish (Eds), Defects in Semiconductors, Semiconductors and Semimetals Book Series, Academic Press/Elsevier, vol. 91, 2015, pp. 445. 7. A. Fontcuberta I Morral, S. Dayeh and C. Jagadish (Eds), Semiconductor Nanowires I: Growth and Theory, Semiconductors and Semimetals Book Series, Academic Press/Elsevier vol. 93, 2015, pp. 296. 8. S. Dayeh, A. Fontcuberta I Morral and C. Jagadish (Eds), Semiconductor Nanowires II: Properties and Applications, Semiconductors and Semimetals Book Series, Academic Press/Elsevier, vol. 94, 2016, pp. 382. 9. F. Iacopi, J. Boeckel and C. Jagadish (Eds), 2D Materials, Semiconductors and Semimetals Book Series, Academic Press/Elsevier, vol. 95, 2016, pp.358. 10. Z. Mi and C. Jagadish (Eds), Nitride Semiconductor Optoelectronics, Semiconductors and Semimetals Book Series, Academic Press/Elsevier, vol. 96, 2017, pp. 492. 11. Z. Mi, L. Wang and C. Jagadish (Eds), Semiconductors for Photocatalysis, Semiconductors and Semimetals Book Series, Academic Press/Elsevier, vol. 97, 2017, pp. 477. 12. S. Mokkapati and C. Jagadish (Eds), Nanowires for Energy Applications, emiconductors and Semimetals Book Series, Academic Press/Elsevier, vol. 98, 2018, pp. 552. 13. S. Lourdodoss, R.T. Chen and C. Jagadish (Eds), Silicon Photonics I, emiconductors and Semimetals Book Series, Academic Press/Elsevier, vol. 99, 2018, pp. 228.